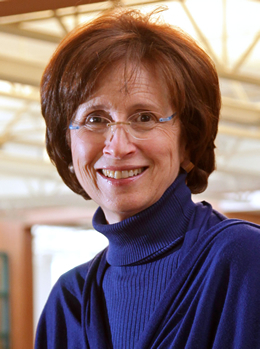 Paula L.W. Sabloff, Professor at the Santa Fe Institute, holds a B.A. from Vassar and an M.A. and Ph.D. from Brandeis University, with a year at the University of Pennsylvania in-between. A political anthropologist, her master’s and doctorate were conducted in Mexico. 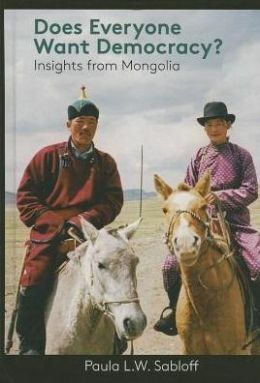 After several years in higher education administration (including Executive Director of the Governor’s Commission on Higher Education in New Mexico , Academic Planner for the State of New Mexico , Coordinator of Strategic Planning for UNM [1984-85] and Coordinator of Strategic Planning for the University of Pittsburgh), she returned to anthropological research, this time in Mongolia. Her research focus has remained political culture and behavior, especially patron-client relations, the effect of people’s concept of risk on their political thinkings, and their changing ideas on democracy. The book suggests that everyday people think of democracy in three ways: the ideals, or rights and freedoms that democracy brings, the responsibilities of a democratic government toward its citizens, and the role of citizens in maintaining democracy. At this point in time, the ideals of democracy appear to be globalized, but how people see the responsibilities of government and citizens varies with their history, culture, present situation and hopes for the future. On one level, I ask, is the desire for democracy universal? Does everyone want democracy, as the US government and conservative think tanks assume. On the other, I ask, how has the concept of democracy changed in Mongolia since the end of socialism in 1989? Does the concept vary by demographic categories? The book is based on anthropological fieldwork conducted in the summers from 1996 to 2003. It is also based on my volunteer work in some democracy-building workshops and programs, interviews with Mongolian leaders and international NGO workers, and 1,283 open-ended interviews conducted by Mongolian researchers in and around Ulaanbaatar (the capital) and Khovd (a provincial capital west of the Altai Mountains). The interviewees were people of voting age, urban and rural residence, and both genders. We also gathered data from people of different education levels, ethnic identification, and occupation. I then coded the interviews and subjected them to statistical analysis. The book interweaves the interviews, ethnographic experience, and archival material into one narrative. While the Mongolians interviewed very much want the democratic ideals of human rights, political and economic rights and freedoms, they also want to practice their own kind of democracy. That is, they want a government that is more patron than partner. This idea comes out of their culture (i.e., the nomadic tradition that stresses independence), socialist experience (acceptance of a passive citizenry and veneration of leaders educated to the job), current situation (adapting to capitalism and the free market), and their hopes for the future (the desire to remain independent of China or Russia, to succeed in a capitalist world, and remain free from government oppression/oversight). Why this pattern? I suggest that the desire for democracy comes from deeply held values that are practically globalized at this time. These include dignity, justice, hope, and self-determination. In turn, such values arise from some of the universal emotions discovered by psychologists. Anger, fear, and pride in achievement are some. The people interviewed believe that these deeply held desires are more easily satisfied in democratic than totalitarian governments. The book adds to the political literature by focusing on the ideas of common people rather than administrative or political leaders, as most books do. A government cannot adopt democracy if the people are not willing to accept it. Also, the book shows the connection between universal emotions and political thought. As a cognitive anthropologist, I am concerned with the linkage between what we share as humans—not only our life trajectory but also how we think and feel—with what makes our way of thinking unique. Studying how people in another country view democracy, a major issue of our time, ought to shed light on the crossroads of what makes us human with what makes us special. It is a question of universal vs. particular. But it also is a modification of nature vs. nurture, for political ideology comes not only from the past but from attitudes toward the future. It’s not for me to tell other researchers what to do. But I do feel strongly that NGO and international aid workers learn something about the country they are working in rather than just imposing a US-oriented project on people. Such an approach will not be sustainable. I’d love to do comparative work in another post-Socialist state or even the USA. Since Professor Sabloff does not define what SHE means by “democracy,” it is impossible to answer the question she poses. “One man, one vote” is, of course, an element of democracy but it is not sufficient. Personally, I would have difficulty accepting as a democracy any nation that is not also governed by the rule of law and which does not protect the rights of the minority. The form of government differs widely among countries that I regard as democracies as do such crucial features as the relationship between the governors and the governed, the distribution of wealth, social mobility and access to education. Some democracies, like Britain for example, even lack a written constitution. Some non-democracies have the appearance but not the content. This article supplies too little information even to decide whether Mongolia qualifies as a democracy despite her assertion that it is. An article on this book was published on the juridical group page of the University of Amsterdam, and the (general) question in this frame was: Should democracy have the same meaning in every country? I think the answer to this question, if it is posted as a non-moral issue, can be a simple and firm ‘NO’. Actually, the different treaties along the globe give a clear answer if you subject them to a certain close-reading. For instance: the African Charter on Human Rights (as published in Human Rights Instruments, ninth edition, Feb. 2010, Iceland) show in Art. 29 (‘duties to comunity’) that ‘The individual shall also have the duty  to preserve the harmonious development of the family; […]’. Equally, in the Charter of the Inter-Americas, in Art. 17 a similar emphasis lies on the Family as “a fundamental group of Society”. Articles of this kind cannot be found in the European Charter of Human Right (ECHR). Reading these basic articles in the context of the separate charters, it shows that the concept of democracy in the Western world (Western Europe and the USA) is a totally different concept, namely a far more individual view on Human Rights, than it is in continents like Africa, South-America and Asia, where an individual is in the first place subdued to the interest of the group, tribe of specific relational group. This is allso the reason why the western concept of democracy, as it is upheld in the opinion by the EU and the USA, will always fail as those powers try to implement it one-on-one in countries like Iraq of Afghanistan: the indigenous peoples there do not want the individualistic western concept, since it totally goes against everything there culturall aspects stand for.